Anne-Laure Malauzat is a manager in Bain & Company’s Middle East offices and an active member of the firm’s Retail, Consumer Products and Social & Public Sector practices. She has more than five years of consulting experience in the Middle East. Anne-Laure has worked with a range of private sector clients in industries including retail, consumer products, real estate, financial services and pharmaceuticals to address issues such as turnaround and growth strategy, performance improvement, distribution and sales enhancements, customer experience transformations and commercial due diligence. She has also led a number of projects for public sectors clients around national socio-economic development, vision planning, government transformation, education, entrepreneurship and innovation. 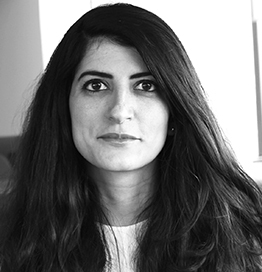 Outside of client work, she leads Bain Social Impact efforts in the Middle East. Anne-Laure holds a Master’s from the School of Foreign Service at Georgetown University, is on the Georgetown University MENA Board of Advisors and is an interviewer for Georgetown Undergraduate Admissions. Additionally, she holds a dual Bachelor’s degree from Mount Holyoke College and is an inducted member of the Phi Beta Kappa society. She is also a certified Scrum Master.